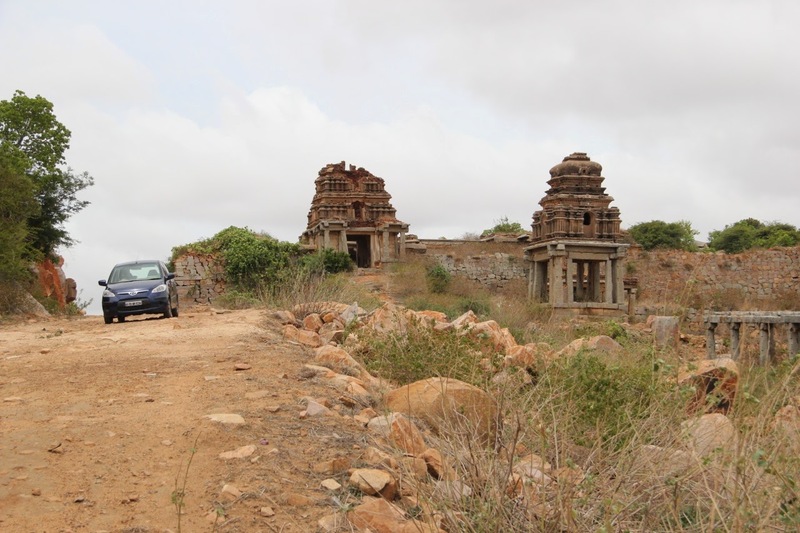 An early morning breeze rushed through the half open window of my car, in which myself, my mother and my wife were traveling towards Anantapur district. 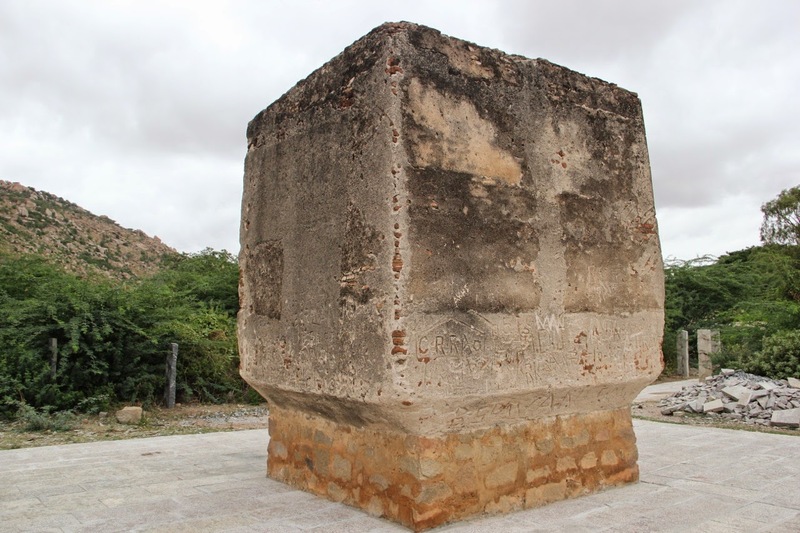 In three days (July 27, 28 and 29), I was planning to cover as many places as I could in the district of Anantapur that I had researched on, before the travel day. 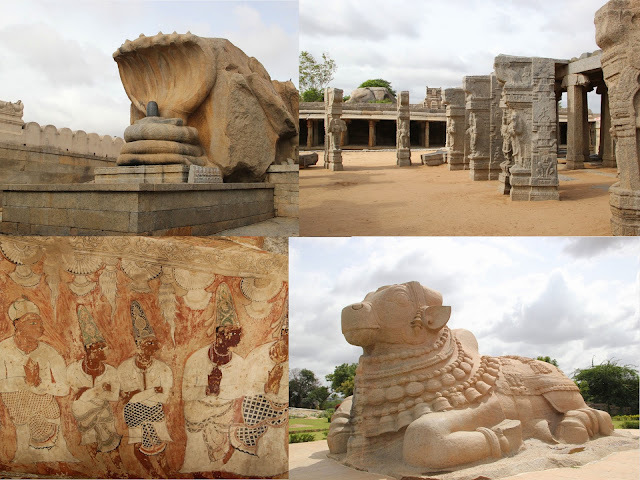 A few months ago, my mother expressed her desire to visit Lepakshi and other regions of Andhra Pradesh. 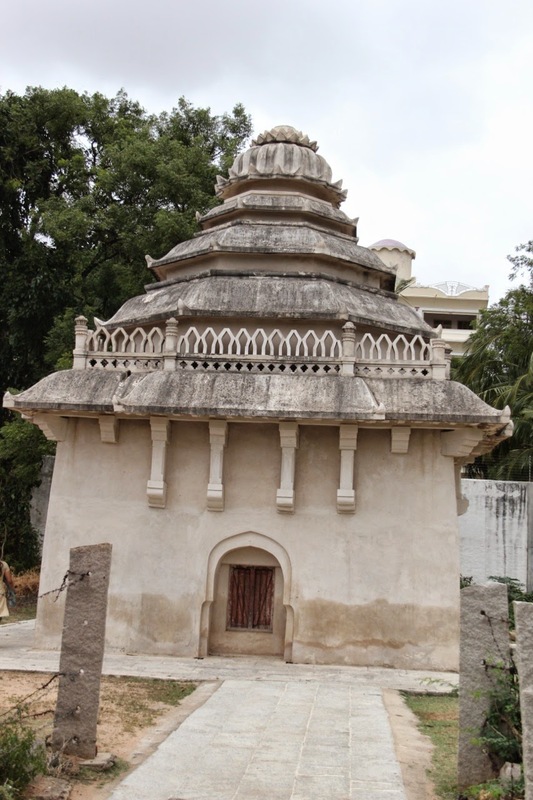 Having not traveled much in Andhra myself, I thought this would be a good opportunity to expand my district wise travel research beyond Karnataka. On July 27th, a Sunday, at around 6:30 AM, we took the NH7 and headed towards Lepakshi. On our way, we stopped for breakfast at the Kamath restaurant where I always prefer to have Raggi dosa. As soon as you cross the state border, take a deviation towards left to reach Lepakshi. Well maintained signage will guide you to this small temple town. 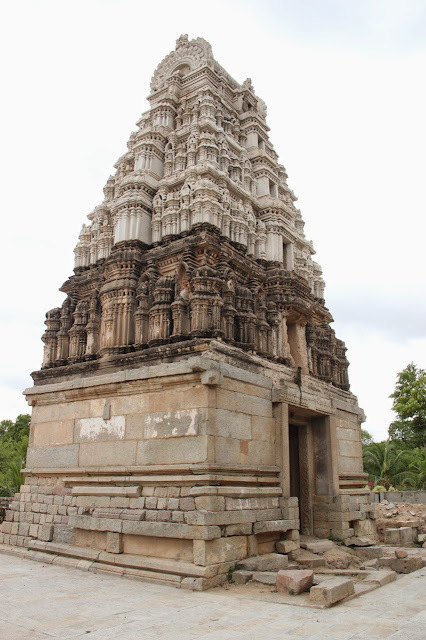 We directly headed to the Veerabadhra temple. As I have covered this place in detail, in one of my earlier posts, I shall skip duplication and for further reading would guide you Here. After a quick tour around the temple, we continued our journey ahead. 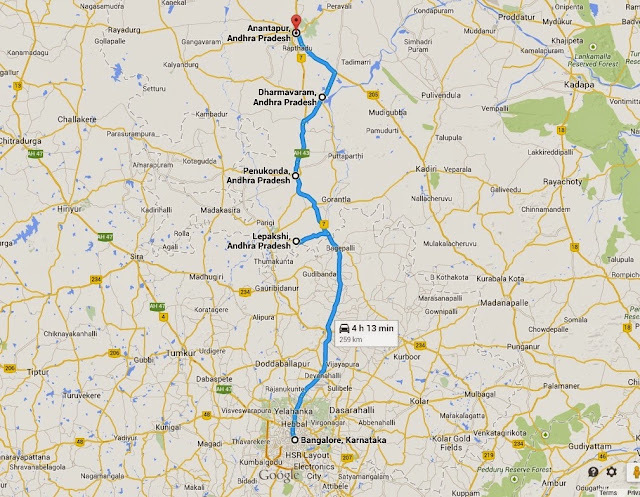 Our next stop - Penukonda. 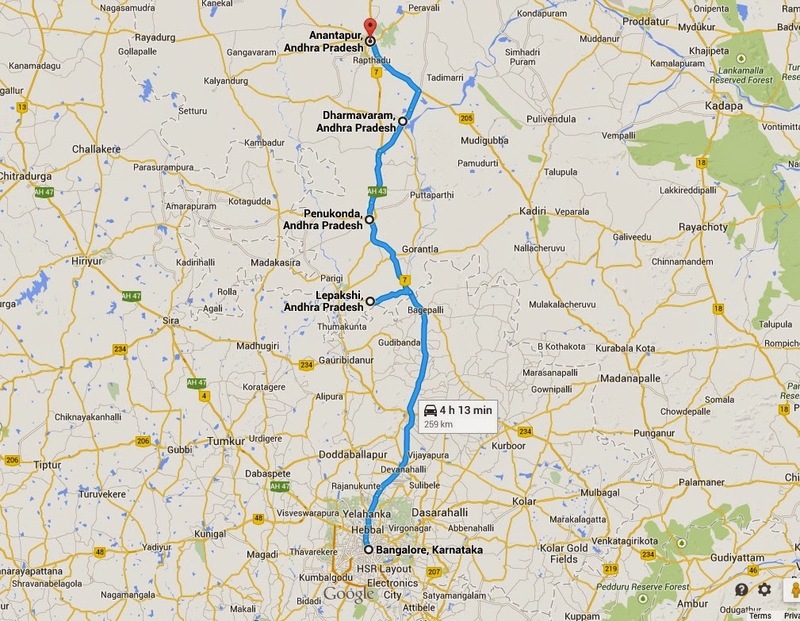 To Penukonda, you have to get back on NH7 and continue on Bangalore-Hyderabad road which is in fantastic condition. Like to every town, you need to take exits on the NH7 to get to this one as well. Before you hit the main town, a left deviation would lead you to the fort. Tar road ended almost at the base of the hill and rest of the journey uphill was on mud road. After a little apprehension, we finally decided to drive up and see what these deserted hill hid at its summit. And what we found was a pleasant surprise! 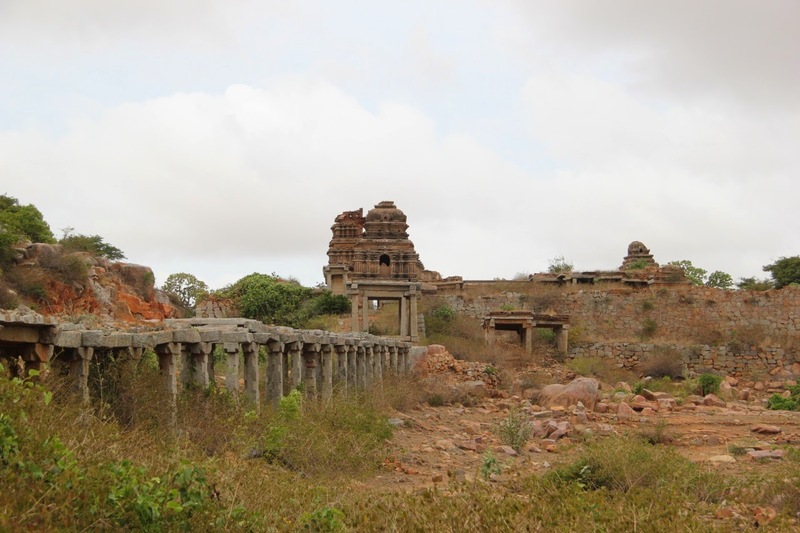 A full fledged ancient city in ruins. The remains of the market place, kalyani (Pond), temples, and magnificent entrance made us feel thrilled and sad, both at the same time. 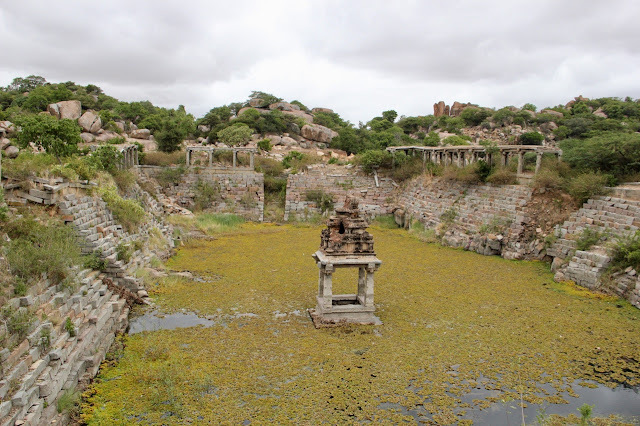 This place reminded me of Hampi. Being the only ones up there and exploring the abandoned city by ourselves made us feel like we were taking a journey back in time. I imagined how a kingdom would have once flourished here and how thriving with life this place would have then been. 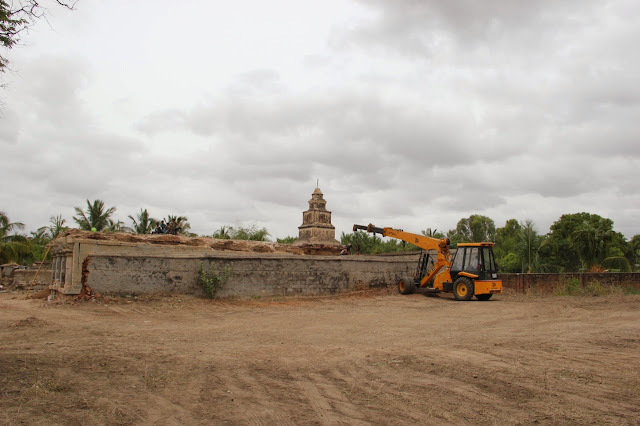 The fort was built during the Vijayangara empire and then taken over by several other islamic rulers who attacked India. Gagan mahal and the temples were closed so, we could not enter them. 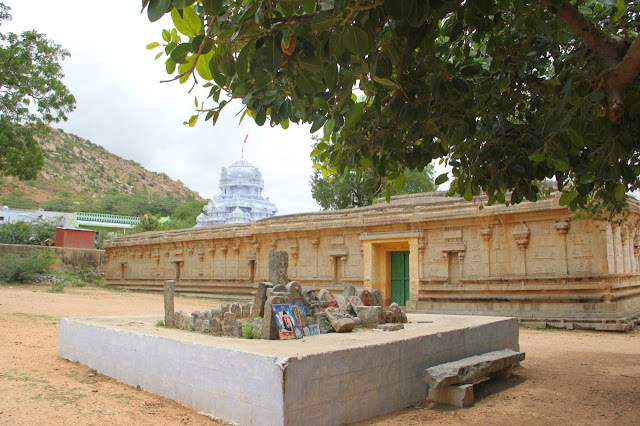 Penukonda means - a big hill and it is said that it had once housed 365 temples; perhaps one for each day. But sadly only a handful exist today. We headed back to the town and enquired for Vegetarian restaurants. We were directed towards Hotel Vaishali located on the junction where the bypass road meets NH7. This place has both veg and non-veg food though. We settled in for a veg meal that included Chapati, rice, Chutney, Sabji, Pappu, and more Pappu. An Andhra meal is never complete without a delicious Pappu, which is a local variant of Dal. The food was spicy but delicious. 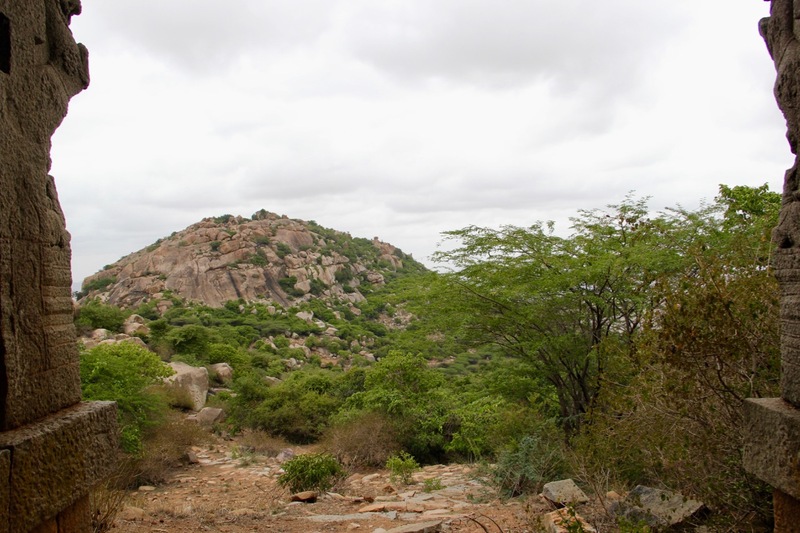 After lunch, we headed towards Dharmavaram. Straight on NH7 until you see a sign to take a right deviation to reach the town. 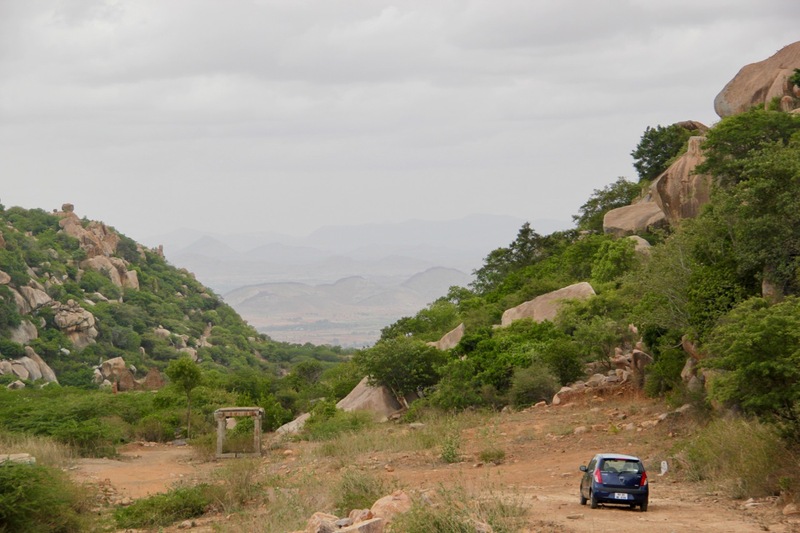 Driving off NH7 was an amazing experience. The roads took us closer to the villages and well cultivated fields. However, at Dharmavaram, the entire town seemed to be shut down on Sunday afternoon. We headed to the saree and leather puppet stores and after following several narrow streets ended up between closed shops. Well, they don’t seem to work on sundays here; not a single saree shop was open! So we decided to revisit Dharmavaram while returning and continued our travel to Anantapura. 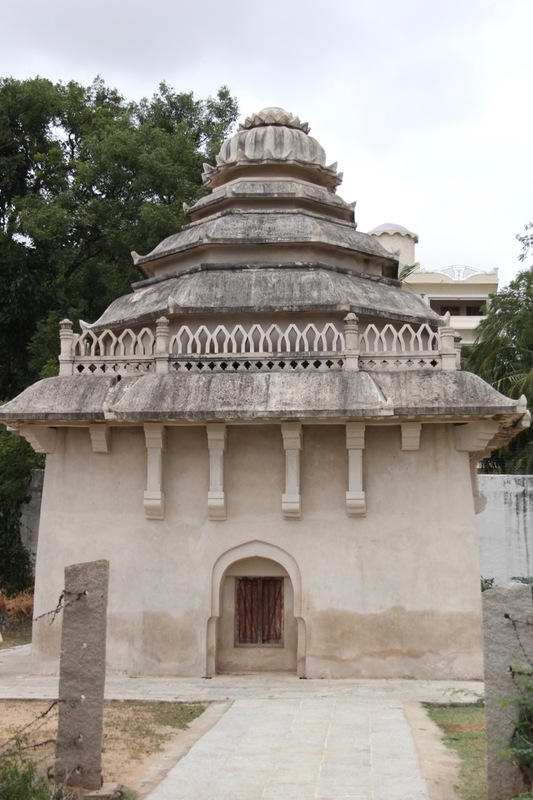 Anantapura, is the biggest town in this district and at town centre is a clock tower, surrounding which are busy streets with lot of people and several shops. Pretty much everything seems to exist on those four roads that meet the clock tower. We settled in at Namma lodge very close to the clock tower. 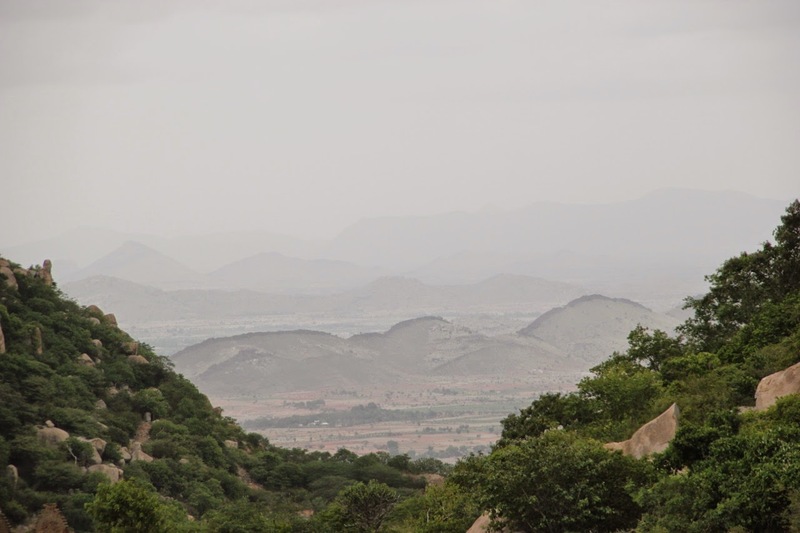 I chose this place because it looked fairly descent, it was on a cross road and most importantly had car parking in front of the lodge and was guarded. I also found it easy to communicate in Andhra, as most of them can understand or speak Hindi. After freshening up we drove to ISKON temple. 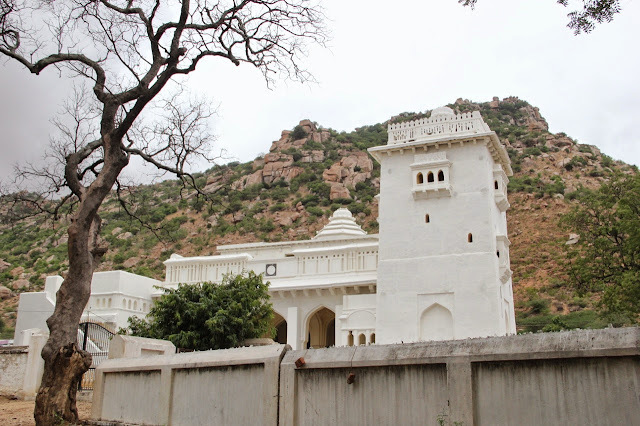 To reach the temple, head back to NH7 and drive towards Hyderabad. 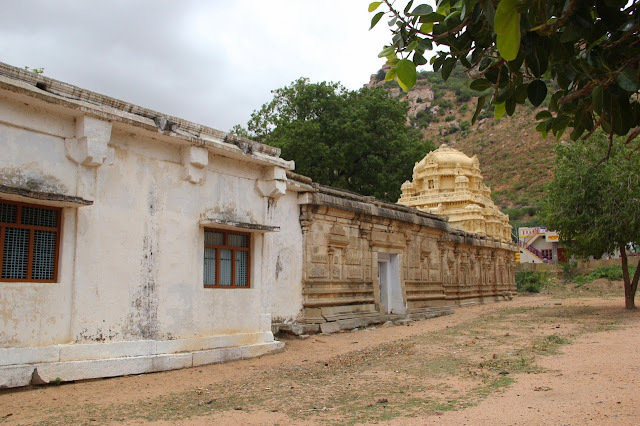 In about 5kms you shall find the temple on your right hand side. 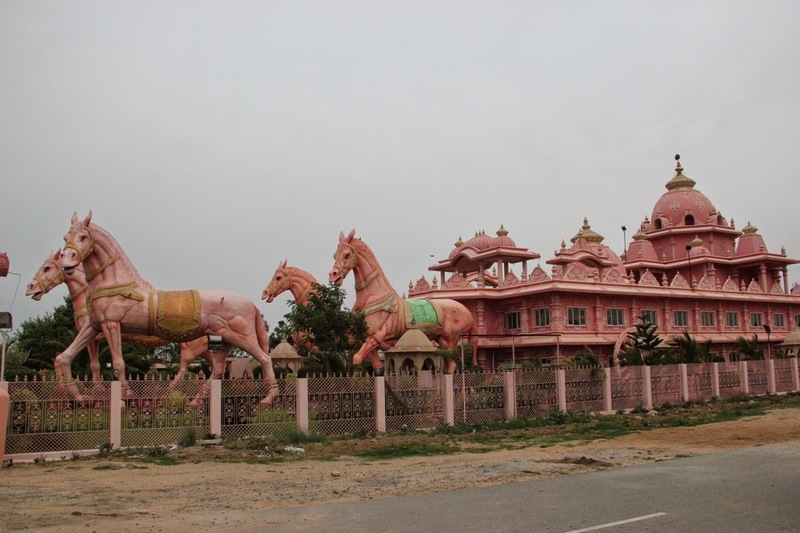 The beautiful pink coloured, chariot shaped temple architecture added charm to the plain lands. In an hour or more that we spent there, we witnessed pooja, bhajans, and lot of devotion. It was not very crowded. It was interesting to observe everyon praying to Lord Krishna with a broad smile on their faces, which seemed to fill the place with lot of positive energy. We drove back to the hotel, parked the car and decided to walk around a bit. Had dinner at a Vegetarian restaurant. We enjoyed some Pessarat; a variety of Dosa special to Andhra. We bought some Karachi biscuits from a local store close to the clock tower before returning to our room and calling it a day.